Scientists are counting on carbon nanotube films to make lithium batteries charge faster and last longer. New research shows the thin nanotube films effectively stop dendrites that grow naturally from unprotected lithium metal anodes in batteries. Over time, the tentacle-like dendrites can pierce the battery’s electrolyte core and reach the cathode, causing the battery to fail. The answer, which researchers detail in Advanced Materials, is simple, inexpensive, and highly effective at stopping dendrite growth, Tour says. The tangled-nanotube film effectively quenched dendrites over 580 charge/discharge cycles of a test battery with a sulfurized-carbon cathode the lab developed in previous experiments. 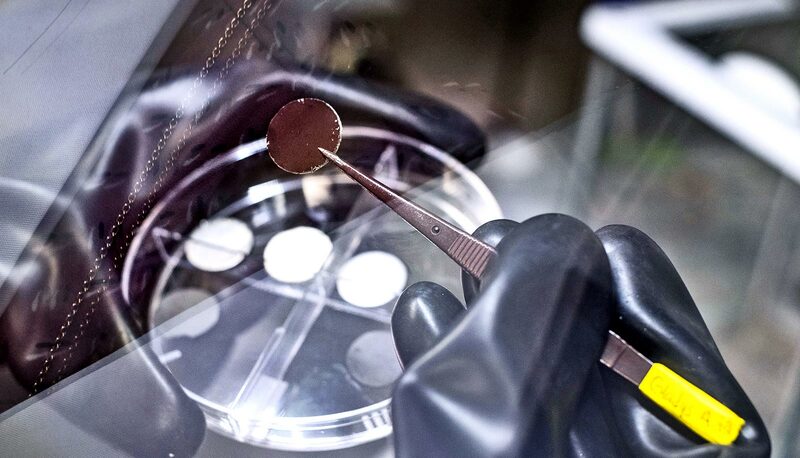 The full lithium metal cells retained 99.8 percent of their coulombic efficiency, the measure of how well electrons move within an electrochemical system. Additional coauthors are from Rice; the King Fahd University of Petroleum and Minerals, Saudi Arabia; the Korea Basic Science Institute; and the McGovern Medical School at the University of Texas Health Science Center. The Air Force Office of Scientific Research; the National Institutes of Health; the National Council of Science and Technology, Mexico; the National Council for Scientific and Technological Development; Ministry of Science, Technology and Innovation and Coordination for the Improvement of Higher Education Personnel, Brazil; and Celgard, LLC funded the work.